We must live in a world in which children are guaranteed an excellent education, clean water, healthy food, a proper shelter, and quality health care. If you’re interested in a broad impact that pairs one sponsor with one school, Inkuthazo is the program for you. THE INKUTHAZO MISSION is based strictly on home- and school-centered intervention so that all children are granted equal access to quality education. Toward that end, Universal Promise provides academic materials, school infrastructure updates, and professional development opportunities to solidify children's academic foundation and enhance their chance to live in a just, civil, and hopeful society. INKUTHAZO means encouragement and motivation in Xhosa, and our sponsors do their part by helping to bring the above reality to schools in South Africa. 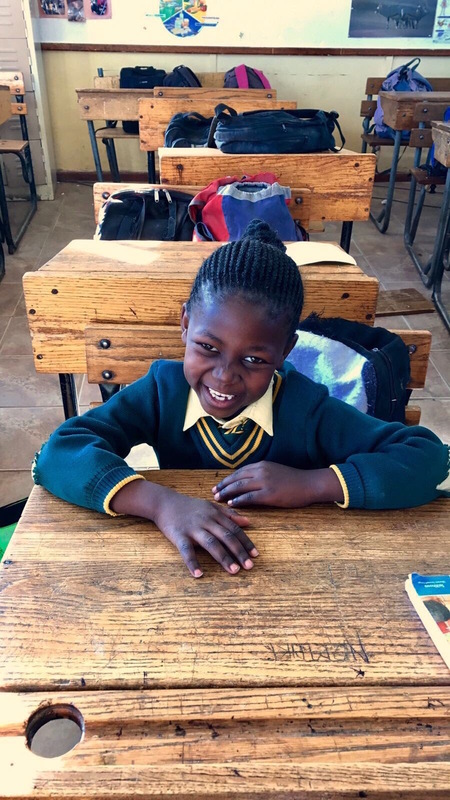 Over the past seven years, Inkuthazo has outfitted schools with books, educational supplies, Amazon HD Kindle Fire tablets, electricity, tiled floors, insulated ceilings, a nutritious breakfast and lunch program, teacher training, field trips, and a live security system. UP has also visited the homes of sponsored children, and donors have purchased enough beds, duvets, cooking supplies, miniature stoves, wardrobes, student desks, dining room tables, clothing, and school uniforms to foster the best possible learning environment. As a UP sponsor, you will be assigned to a particular school/grade level and will develop a familiarity with that grade level's educators, students, curriculum, and overall advancements. We encourage you to stay up-to-date by checking the Universal Promise Facebook page. There you may view the learners' activities, classroom improvements, teachers' professional development opportunities, infrastructure renovations, and more. As such, you will see precisely how your sponsorship donation, which amounts to $1 per day, has been used to fulfill the academic dreams of not just one child but scores of children through the provision of educational materials, trained teachers, school uniforms, and basic amenities. We would be honored to welcome you to our group of amazing sponsors. To submit your sponsorship details, click here, or to gather more information, please contact us.